2011’s best ensemble cast since Margin Call bring the latest adaptation of John Le Carré’s 1974 spy novel to life under the capable direction of Sweden’s Tomas Alfredson (Let the Right One In). 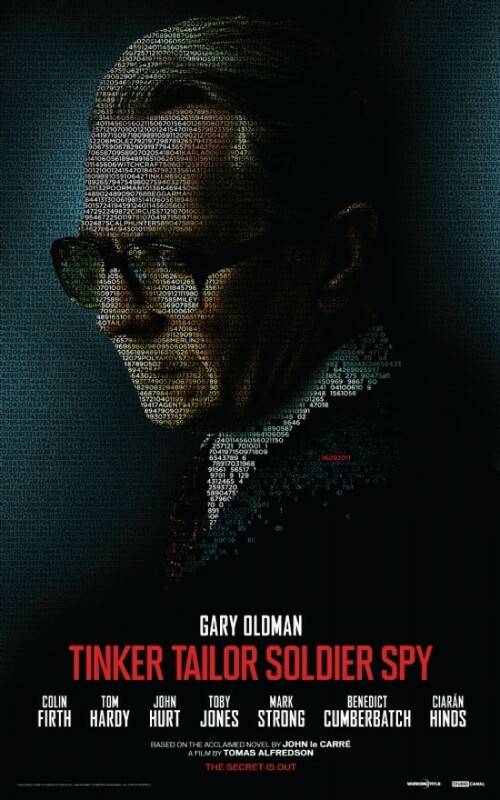 Gary Oldman stars as the cool-headed George Smiley, retired Deputy Head of Her Majesty’s Civil Service who is called back into “the Circus” to uncover a mole amongst the organization’s high-ranking officials (they are referred to by the titular code names). The suspicious officials are portrayed by familiar names like Toby Jones and Colin Firth and familiar faces like David Dencik (The Girl with the Dragon Tattoo) and Ciarán Hinds (Munich). Tom Hardy plays the agent who uncovered the mole’s presence, the great Mark Strong appears as a well-informed former agent, and John Hurt is Circus head Control who wisely warns Smiley to “trust no one.” The investigation is an appropriately convoluted one that reflects the political confusion of the time and allows certain mysteries to remain opaque despite elaborate explanations. The dialogue-driven scenes that take place in the organization’s cubicle-filled warehouse maintain an interesting intensity regardless of the viewer’s retention of the many code names, missions, and individuals that are tossed around like sports statistics and easily confusable. Even the most clueless of viewers should feel a degree of satisfaction with Smiley’s ultimate fate, even if the actions that bring him there aren’t easily understood. Tinker Tailor Soldier Spy opens today at the Ritz East.